I should like to express my sincere gratitude to the Government and the people of Thailand for hosting this 13th meeting of the Conference of the Parties to CITES. The organization of an event of this size requires the investment of important financial and human resources. To make such investments is a clear sign of the importance Thailand attaches to the conservation of wild fauna and flora globally and to the conservation and sustainable use of its own wild animals and plants in particular. I sincerely hope that much of these investments will be returned to Thailand and to Southeast Asia as a whole in the form of an increased public awareness of wildlife conservation issues and needs. The fact that this meeting is being attended by a great many national and regional non-governmental organizations and media shows the wish of civil society of this region to participate in the decision-taking processes concerning the plight of nature, of what we owe to future generations. Together with the international NGO community, Thai and regional NGOs will be able to make important contributions to the debate of the many issues before this meeting. We can all be proud of the unique CITES tradition in this respect and of the openness and transparency in how we arrive at decisions. This meeting, ladies and gentlemen, is going to be of crucial importance for the future of our Convention, for what CITES will be able to contribute in the years to come, not only to wildlife conservation, but to wider global issues such as sustainable development and poverty reduction. For wild animals and plants to have a chance of survival, it is necessary to involve the people in their range States, to involve the people, mostly in rural areas of developing countries, who share their environment with wildlife and who in many cases compete with wildlife for survival. Such involvement can only be positive if there are clear benefits, economic or otherwise, that compensate sacrifices resulting from conflicts between man and wildlife. What this 30-year old Convention urgently needs is an increased political will in most, if not all of its 166 Parties to take responsibility and to meet obligations. CITES is in urgent need of action rather than words. There will of course be a lot of words, a lot of talking during this meeting, but we need to be sincere and serious about responsibilities and obligations. We need to ensure concrete action in the areas of capacity building, public awareness, better science as a basis for our decisions and, of course, law enforcement. 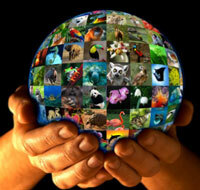 The willingness to ensure that CITES continues to work and to make CITES work better needs to gain new momentum. Dr Toepfer just mentioned the globally set target of significantly reducing the rate of biodiversity loss by 2010. In six years' time one of the questions asked will be what CITES has done to achieve that target. Much sooner, we will need to answer the question of what we have done to achieve the many goals of our own CITES Strategic Vision, adopted in 2000 with a deadline of 2005. Ladies and gentlemen, CITES has great potential and underexploited possibilities to help achieve these global goals and targets. This, however, requires commitment, your commitment and the commitment of your Governments, a commitment that must translate into investment, financial and otherwise, nationally and internationally, directly or in a coordinated and globally agreed way through the CITES budget. The CITES budget in particular is dramatically insufficient and does not allow us to fulfil the expectations of civil society and the needs of developing countries where wildlife conservation is concerned. Ladies and gentlemen, I have referred to the potential of CITES and to expectations and the financial gap between the two, but there are other important questions before you, such as whether we should make the next step in the involvement of CITES in the conservation of economically important species. In my opinion we should, but only where CITES can make a difference, or - if there are existing agreements dealing with the species - only where CITES with its very specific tools and instruments has added value. I am convinced that the potential of this added value is widely underestimated and needs more attention and understanding. There are 60 proposals before you to list additional species in the Appendices and to transfer species from one Appendix to another. This is one of the major tasks of the Conference of the Parties and also the most difficult one. There are widespread misunderstandings about these listings. Some believe or want people to believe that an Appendix-II listing is the end of trade. Others want people to believe that an Appendix-I listing saves a species from extinction. Both beliefs are wrong. An Appendix-II listing is a guarantee for the sustainability of trade and therefore is positive for the future of that trade. An Appendix-I listing only contributes to the conservation of a species, but of course requires many other measures to save it from extinction. In publications and also in my opening statements at previous meetings of this Conference, I have addressed the problem of CITES having become too complicated. The Secretariat will continue to identify procedures and rules and regulations that were invented during the 30-year history of the Convention, but which can be abolished or simplified. I have launched the idea and should like to stress again that CITES needs to go back to basics. We need to focus on essential tools and mechanisms to regulate wildlife trade and get rid of unnecessary red tape. In doing so, we will achieve greater understanding and acceptance of the rules and thus a better implementation by the Parties and a better chance to enforce them in the field and at the borders. Simplification will also lead to savings. To achieve simplification, we all need to look critically at decisions we are requested to make and to particularly evaluate their conservation benefits. Ladies and gentlemen, a CITES Conference is a unique gathering of many hundreds of people with the widest possible variety of backgrounds, cultures, interests and convictions. Discussions can be tough, decisions difficult to make, results not always to everybody's liking, there will be stress, but being in Thailand should stimulate all of us to discuss the many issues before us in a calm, friendly and respectful manner. Let us agree and sometimes disagree, but always with a smile. Mister Prime Minister, your Excellencies, ladies and gentleman, I wish you all great wisdom in your deliberations. The infrastructure and atmosphere that Thailand has provided is a guarantee for a very successful meeting.